The Department of Public Works Water Division is committed to delivering safe quality water to the residents and guests of Mackinac Island. The Water Division tests the water daily to ensure the quality of water is safe for consumer consumption. The Consumer Confidence Report is a summary of the required U.S. EPA and Michigan Department of Environmental Quality testing from the prior years production of drinking water. Include in this report is any violations the division had during the reporting year. 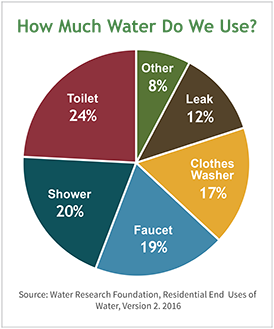 Upgrading to water smart fixtures and appliances can save you money!